FIVE REASONS TO MAKE A DATE IN YOUR DIARY FOR NETLEY! 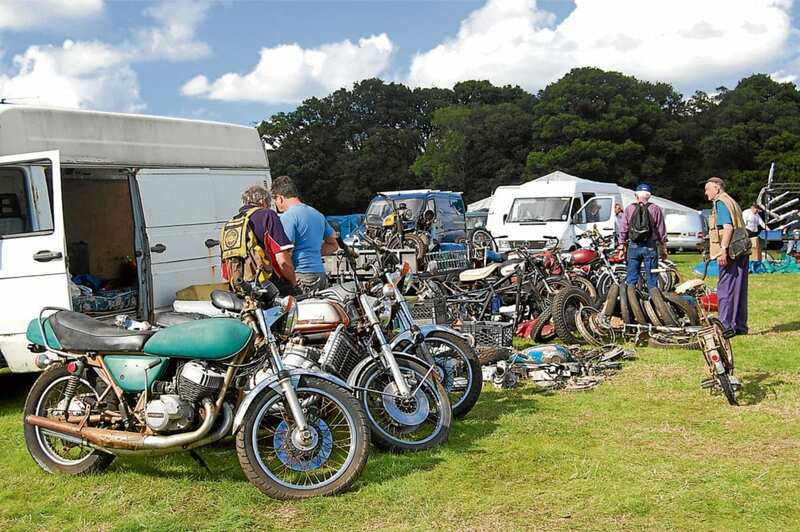 If you are looking for a great day out filled with motorcycle bargains, the Netley Eurojumble is the place to be! More than 300 traders showcased their wares at last year’s event and this year is set to be even bigger. With a mammoth display of spare parts, tools, books, magazines, signs and even complete machines, you can be certain you’ll find exactly what you were looking for. Are you looking to rehome your pre-loved biking possessions? Come to Netley on the Saturday and pitch up from as little as £20. Visitors can set up a one-day trading plot and put their biking goods in the eyeline of thousands of bike enthusiasts looking for that missing piece. Full machines will be under the hammer at the Charterhouse Auction on the Friday, with the bidding starting at 1pm. Lots under the hammer this year include a 1935 Ariel Red Hunter, a 1937 Sunbeam Model 8, a 1947 BSA C11 and a stunning 1949 Vincent HRD Black Shadow. Showgoers are welcome to camp at Netley Marsh on Thursday, August 30 and Friday, August 31. At just £60 for two people, you can enjoy a break away while rummaging through mountains of motorcycle paraphernalia. Entry to the show is also included in the price. Simply buy your advance ticket today; you’ll then receive an email with your ticket attached. Print off your e-ticket or show your ticket on your phone at the gate for quick and easy entry to the show. Parking at the event is free. For more information about the Carole Nash Eurojumble, click here. Next Post:A biking marriage made in heaven!